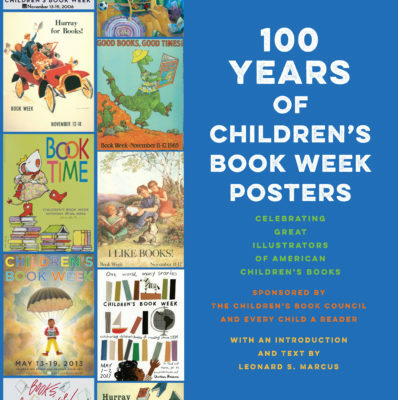 For families, art lovers, and history buffs alike, Leonard S. Marcus’s visual history tour of 100 years of children’s book illustration gathers in one glorious volume the posters of the annual Children’s Book Week! Featuring work from early luminaries such as N. C. Wyeth and Marcia Brown to more contemporary illustrators like David Wiesner, Mary GrandPré, Christian Robinson, and Jillian Tamaki, this beautiful collection showcases the conceptual and iconic images that have defined children’s books for generations of young readers. While the posters within these pages are linked in their resounding advocacy for young people’s literacy, they are distinguished by the styles and mediums of their creators and by the historical, social, and cultural influences of their times. Renowned historian Leonard S. Marcus traces these developments in the children’s book field with incisive descriptions to accompany each poster.